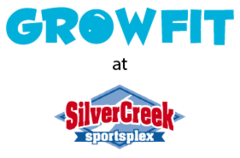 GrowFit Camp is a safe space for children to discover new athletic passions and engage in a variety of sports and games while focusing on the values of teamwork and sportsmanship. Location: Silver Creek Sportsplex is located at 800 Embedded Way, San Jose, CA 95138. Drop off: Camp starts at 9:00am but you may drop off as early as 8:00am to take advantage of supervised open play. Drop-off is inside Sportsplex through the front entrance. Pick up: Camp ends at 4:00PM but if you need to pick up later we will have supervised open play until 6:00PM at Sportsplex. Lunch: We provide a hot lunch each day. If you have an older, growing child you may want to bring extra fuel. If you plan on arriving after 10:30am, please give us a call so we can put a lunch order in for you. Snacks: All campers get snack breaks during the day so we recommend packing at least 3 healthy snacks. Water bottle: Bringing a bottle to stay hydrated will be beneficial. We do have drinking fountains at the facility if your child needs a refill. Shoes & clothing: We suggest that everyone wear athletic clothing and athletic shoes. Please leave the soccer cleats at home as they are not allowed on the turf. If you have a younger child, we recommend bringing an extra set of clothing.